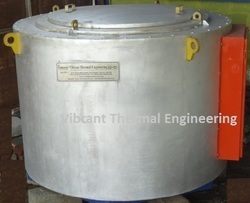 We are the leading manufacturer, exporter, trader and importer of the Salt Bath Furnace. We are backed by our large infrastructure facility, which allow us to manufacture a quality range of Salt Bath Furnacedesigned and facilitated by our high quality and reliable engineers and other skilled and unskilled workforce. Products manufactured by us are highly efficient made with best quality materials compiled to work suitably and smoothly with trouble free operation. inner SS 310 retort 8 o mm thick. 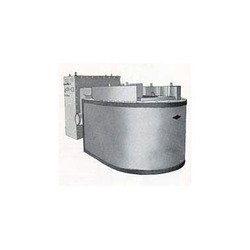 SS 310 retort Dimensions diameter 1000 x 600 mm Ht. We are backed by our large infrastructure facility, which allow us to manufacture a quality range of Industrial Salt Bath Furnacedesigned and facilitated by our high quality and reliable engineers and other skilled and unskilled workforce. Products manufactured by us are highly efficient made with best quality materials compiled to work suitably and smoothly with trouble free operation.